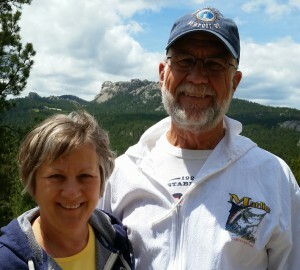 Ed and Connie in the Black Hills of SD-look closely to see Mount Rushmore in the background. 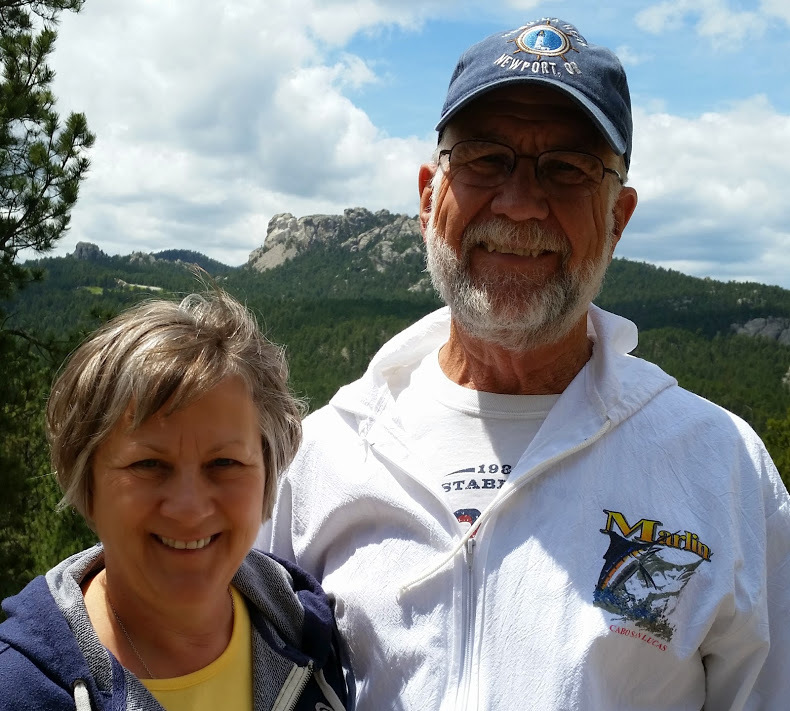 Ed & Connie met while working at Mountain States Telephone Company in Cheyenne, WY. Married in 1981 and lived in Helena, MT until moving to Utah in 1983 with the new US West Telephone company. Moved to Denver, CO in 1994, again with the phone company. Both retired in 2000 and moved to Longmont, CO. We have 2 adult children, Shelby in Gillette, WY, and Shannon in Denver, CO. We lost our dear daughter Kari from cancer back in 2017. Two adult grandchildren (Brittani, Hagen), and one teenager (Faith). We were blessed in 2015 with great granddaughter Blakelee! We talked about down sizing to a smaller home, yet enjoyed traveling in our RV. So it seemed like a natural transition to RV full time. We loved our 30′ Airstream Classic and called it our home for the first year of our full time experience. We found it somewhat limited for full time, so sold it and bought a new to a 38′ Mobile Suites 5th wheel October 7, 2015. Loving the extra room. But even though we have enjoyed full timing, we feel it is time to sell out and settle in to a home with a foundation. The plan is to purchase a smaller RV and vehicle for some short term excursions.